This exhibition examines the significant influence of family with the work of Robert Reginald Whale and his sons John Claude and Robert Heard and nephew John Hicks Whale. Robert Reginald Whale, a self-taught artist was born in Cornwall County, England, in 1805. He was one of the first professional artists to work in what is now southwestern Ontario. 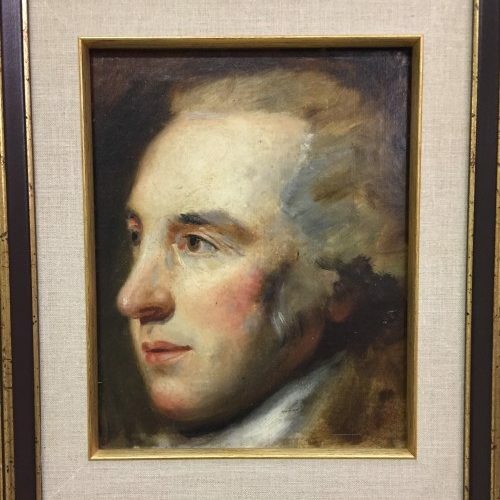 Best known for a handful of frequently reproduced landscapes – panoramic views of Hamilton and Dundas from the NIAGARA ESCARPMENT and of Niagara Falls – he also specialized in portraiture and genre painting. Unable to support a growing family, Whale, his wife Ellen Heard and 5 children emigrated to Canada in June 1852. They settled first in the rural village of Burford, then in 1864 moved to the nearby town of Brantford, where Whale established a family studio that employed his sons John Claude (1852-1905) and Robert Heard (1857-1906) and his nephew John Hicks Whale (1829-1905), all 3 of whom went on to establish professional careers of their own. The paintings drawn together for this exhibition demonstrate the Whale family’s important artistic and cultural legacy and help to define the impact of the family influence.